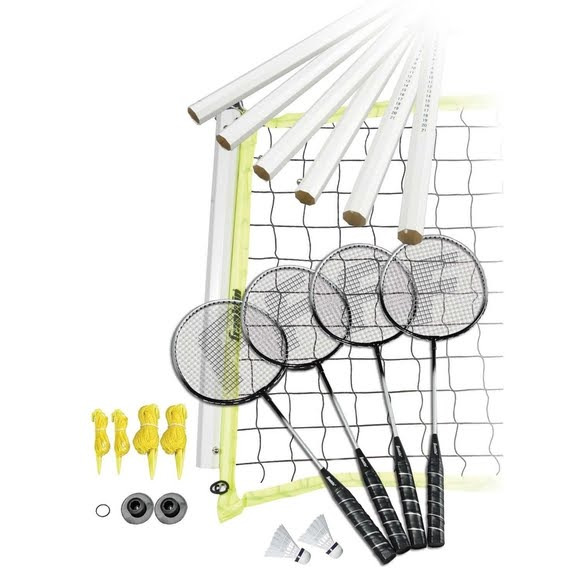 Have a blast in the backyard with Franklin's Advanced Badmitton Set. Everything you need to get the game going is in a convenient molded carrying case. Set up the poles and stretch out the net for some friendly practice. Or make it official by marking regulation boundary. Have a blast in the backyard with Franklin &apos;s Advanced Badmitton Set. Everything you need to get the game going is in a convenient molded carrying case. Set up the poles and stretch out the net for some friendly practice. Or make it official by marking regulation boundary.